Embrace the playful attitude of the season with the mixed prints on this long-sleeve top inspired by a Parisian scarf. Embrace the playful attitude of the season with the mixed prints on this long-sleeve top inspired by a Parisian scarf. 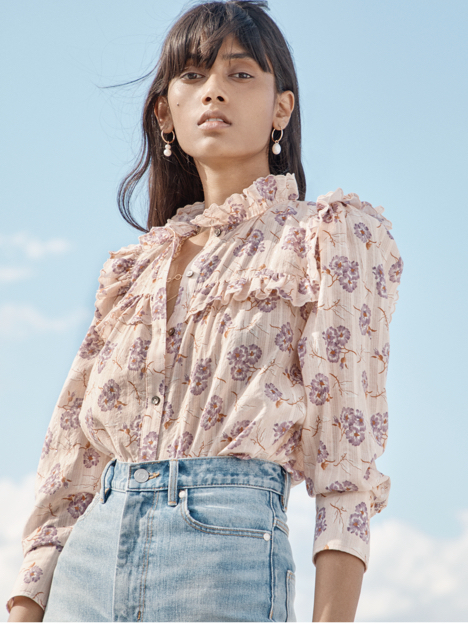 Designed in a rosy floral and trimmed with a micro polka dot print, this lightweight blouse is finished with ruffles for our signature femme style.